Following two successful awards schemes celebrating the best in heating and cooling, Panasonic has announced that the third edition of the Panasonic PRO Awards is now open for entries! The PRO Awards celebrate excellence in the design, specification, installation and commissioning of Panasonic heating and cooling solutions. With four categories to chose from, architects, consultants, distributors, engineers and installers are invited to submit stand-out projects from across Europe. Winners will have the opportunity to join an inspirational trip to Japan to visit Panasonic Headquarters and the sustainable town of Fujisawa. 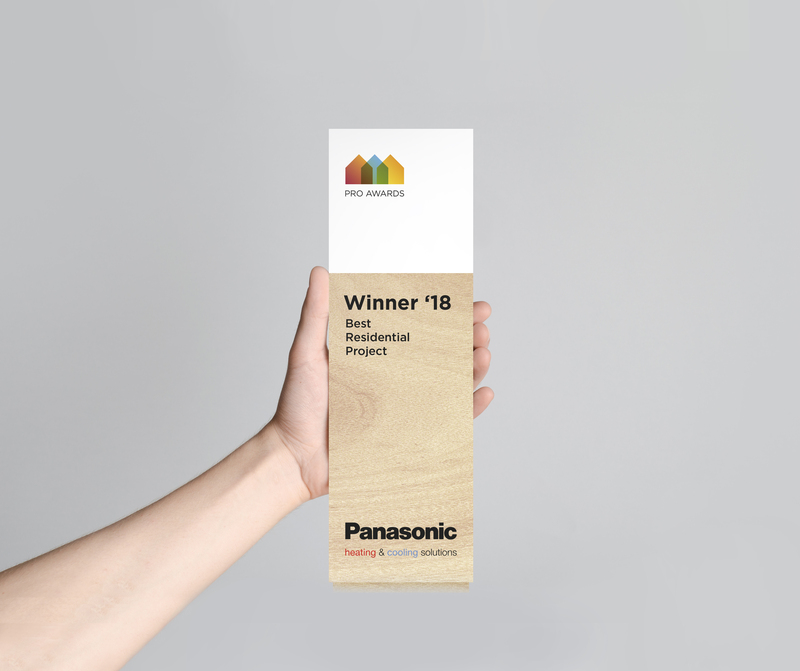 Highlighting the use of innovative technologies in heating, cooling and air purifying, the Panasonic PRO Awards covers a host of markets where the company’s technology is delivering very real benefits to businesses and consumers alike. The judges will be looking for examples of innovative system design, in particular for those projects delivering high performance and sustainability. A prestigious panel of international judges will be looking for applications that demonstrate flair, innovation, showcase sustainable design, efficiency, cost effectiveness and aesthetics. Projects from across Europe are eligible and must have been completed between 1st October 2016 and 31st October 2018. The deadline for submitting entries is 2nd November 2018. The PRO Awards are free to enter and open to projects featuring Panasonic air conditioning, heating and/or cooling systems that have been installed in a residential, public authority or commercial environment. Every qualifying entrant will also win a Panasonic Lumix camera, so get your entries in! For further information, FAQ, full details of all the entry criteria and to register, go to https://www.aircon.panasonic.eu/_____/pro-awards-2018/.